Businessman Bill Rancic joined the daredevil ranks of the Army Golden Knights Saturday and parachuted down to a beach for the annual Chicago Air and Water Show. 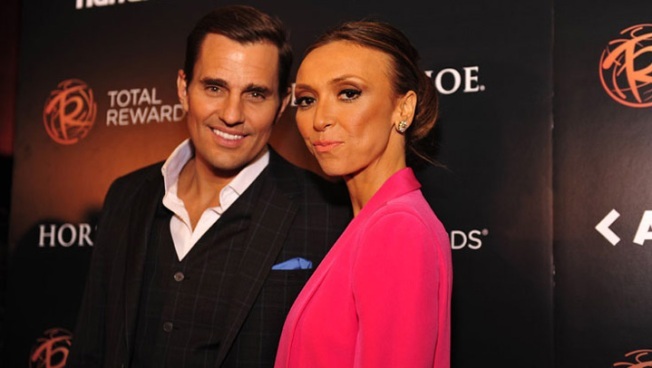 Rancic shared a post-jump photo on Instagram with his wife, Giuliana Rancic, and their son, Duke. Rancic thanked the Golden Knights for taking him up in the air and expressed condolences for the two parachutists who were injured shortly after his jump when they collided mid-air during a performance. Thank you to the Army Golden Knights for taking me up today at the #chicagoairandwatershow. Praying for the two soldiers who jumped after me and were injured. Please pray for them and their families. Bill and Giuliana Rancic, a former co-anchor of "E! News," live in Chicago and co-own local restaurants RPM Steak and RPM Italian on the Near North Side.